Enlisted in his home town of Montreal on January 24th 1941, posted to No.4 Manning Depot in Quebec City followed by Wireless school at No.4 Wireless School in Guelph Ontario. Continued training as Air Gunner at No.9 BGS in Mont Joli Quebec, and No.6 Mountainview Ontario. On completion of courses was promoted to Sergeant on February 14th 1942. 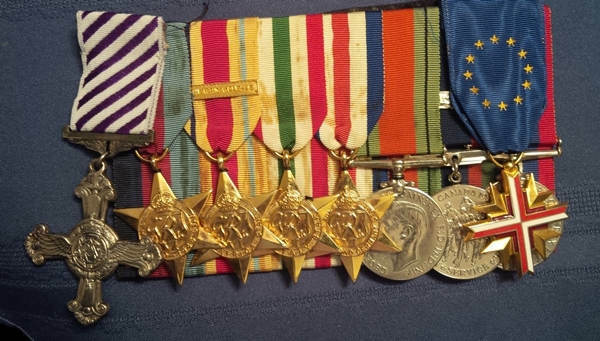 Commenced overseas duties March 12th 1942 in the Middle East by March 1943 was promoted to WOII, commissioned on April 21st 1944, promoted to rank of Flying Officer on October 1944. In all F/O Charbonneau would fly 50 sorties. Completing his first tour of 40 sorties in the Middle East theatre. Flying operations over Italy and Greece among others flying as rear gunner on Halifax aircraft. Completion of his Middle East tour was on October 28th 1943. 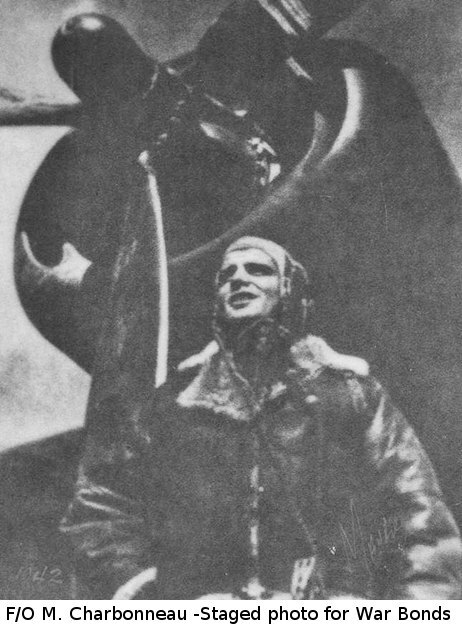 "due to this officer's skilful and cool manipulation of his guns, the enemy aircraft was destroyed (confirmed), thereby undoubtedly saving the lives of his crew and aircraft." They would complete nine operations together, when on the tenth operation on the night of March 15th. his aircraft was shot down. During the fire and on board explosion he received injuries to his head and legs before he could manage to bail out. Lancaster KB870 had managed to make it back over Allied held territory before crashing. Only four of the crew survived. Then as P/O Charbobbeau he was treated at a U.S. Military Hospital. 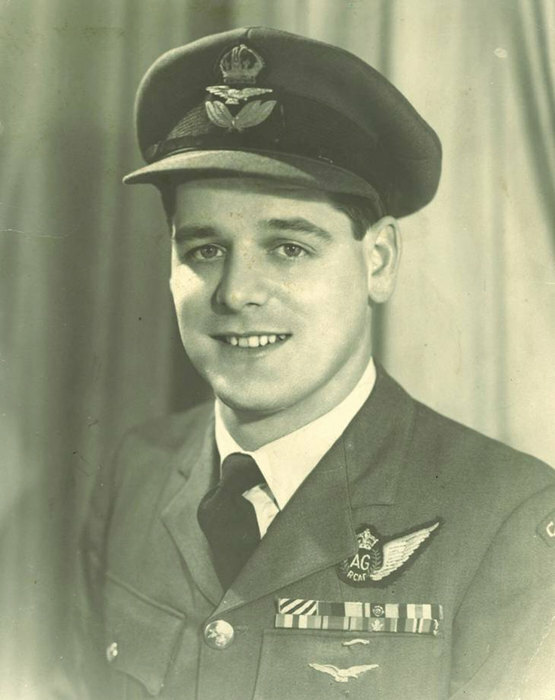 As his DFC citation states "He eventually returned to his unit and by his great keenness to return to operations set a magnificent example of outstanding courage and devotion to duty to the squadron in general." By now the air war was over and soon the war in both Europe and the Pacific were over.